We found your diamond in the rough. The 2019 Toyota C-HR is here! Stylishly cut, uniquely designed, and meant to catch looks. 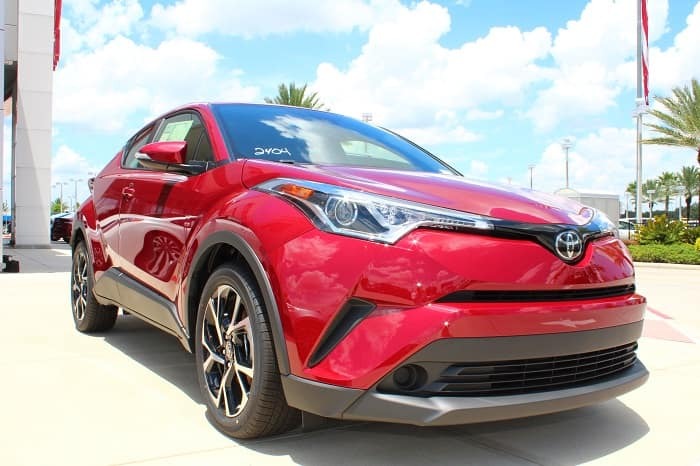 The 2019 Toyota C-HR is truly one-of-a-kind when on the outside looking in and behind the wheel. It’s parked on our lot at Toyota of Clermont and in need of a test driver. Are you ready to get behind the wheel? Read on and decide for yourself. Seven unique paint colors like Ruby Flare Pearl, Magnetic Gray Metallic, and Blue Eclipse Metallic and five additional R-Code roof color options. A starting MSRP of $20,945. Excellent fuel-efficiency with an EPA estimated 27 city/31 highway/29 combined mpg. Projector-beam halogen headlights with a unique cluster LED Daytime Running Lights. Vortex styled 18-inch sport alloy wheels. Angular and cutting-edge body design for a uniquely eye-catching look. Hidden rear passenger door handles for a coupe-like design. Sport fabric and leather-trimmed upholstery options. The Clermont Toyota C-HR is the ultimate when it comes to style, but that doesn’t mean it forgets safety. Woven right into the clean lines and fuel-efficient engineering is Toyota’s latest and greatest in safety technology. LATCH anchors for better car seat securing. Toyota Safety Sense P which includes a suite of safety features like: Pre-Collision System with Pedestrian Detection, Dynamic Radar Cruise Control, Automatic High Beams, and Lane Departure Alert with Steering Assist. All new Entune 3.0 infotainment with optional premium audio. Includes features like: Siri Eyes Free, Apple CarPlay, SiriusXM Satellite Radio, Wi-Fi Connect by Verizon, and seamless Bluetooth wireless connectivity. A 4.2-inch Multi-informational display screen that displays settings and preferences like driving mode, trip information, fuel economy, Toyota Safety Sense P, and trip distance. Remote keyless entry and Smart Key System with push button start. An 8-inch touch-screen for all your media needs and six speaker sound system. A 2.0-Liter 4-Cylinder engine that gets 144 hp and 139 lb./ft. of torque. A smooth shifting Continuously Variable Transmission with intelligence and Shift Mode. Independent MacPherson front suspension with stabilizer bar and hydraulic shock absorbers. Sport, ECO, and Normal driving modes. If you’re excited to get behind the wheel of this unique ride, then pay Toyota of Clermont visit! We’re located at 16851 State Road 50, just off the Florida Turnpike, and open seven days a week! 0 comment(s) so far on We found your diamond in the rough. 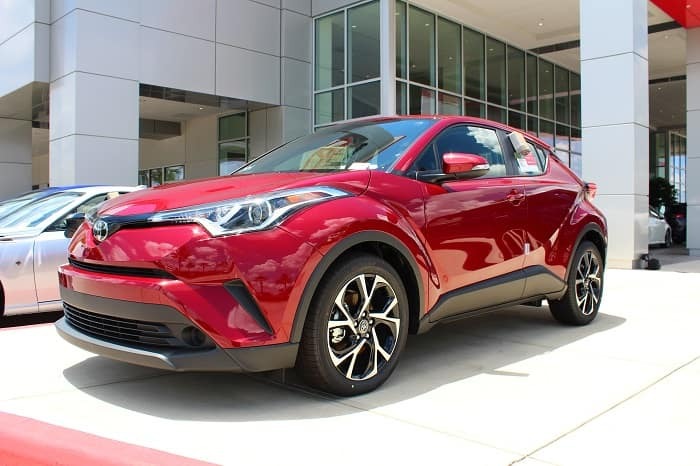 The 2019 Toyota C-HR is here!